Leading up to Valentine’s Day, jewelers, florists and fancy restaurants all fight for your business. They each stress the importance of showing your sweetheart how much you care on what many consider the most romantic day of the year. But when you or your loved one is battling mesothelioma, you may not have the energy, the funds or the desire to make a big deal out of Valentine’s Day. When mesothelioma intrudes into a marriage, a couple may feel like they have gone from husband or wife to patient or caregiver. This has its own set of challenges and adjustments. 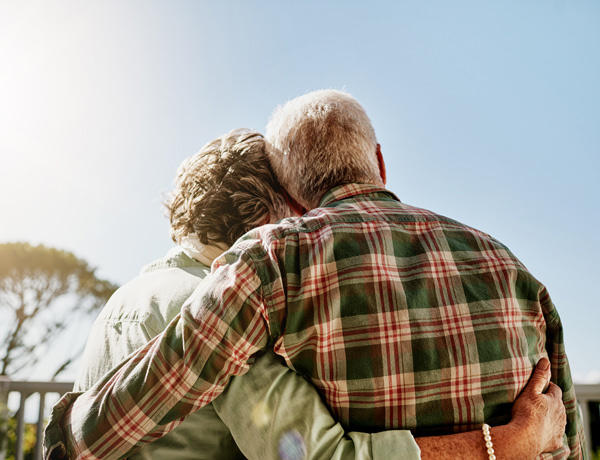 As a couple shifts gears toward battling mesothelioma, they may put nurturing their relationship on the back burner to focus on fighting the cancer and managing treatment side effects. I found that some marital relationships are strengthened by the experience of fighting cancer together. But many couples find the stressors that accompany a mesothelioma diagnosis can negatively affect their relationship. Financial worries, fatigue, social isolation, decreased libido and communication problems while dealing with mesothelioma can strain a partnership at a time when couples want their relationship to be at its most resilient. It is no wonder that couples fighting mesothelioma have enough on their plate without the pressure of trying to make Valentine’s Day special. As a couples therapist, I found that the happiest couples don’t save up their romantic gestures for one or two special days of the year such as Valentine’s Day or their anniversary. They let their partner know they are loved and appreciated on a regular basis. These caring behaviors don’t have to be elaborate gestures that require a lot of money or preparation. You can do little things each day to show your loved one you are thinking about them. It is the little things that keep a relationship strong. It is the tone of your voice when speaking to your partner. It is the private jokes you share that no one else gets. It’s saying to your partner “I appreciate your help,” or listening to their fears or worries without trying to fix the problems or give false reassurance. Give your loved one a foot rub without being asked. Make your partner their favorite homemade meal and let them indulge. When a couple is dealing with a life-threatening diagnosis such as mesothelioma, the last thing they need is to feel pressured to live up to an unrealistic expectation on Valentine’s Day. Take a moment and reflect upon what your partner loves about you and appreciates about your time together. It doesn’t take a lot of effort to let your loved one know you love them and are thinking about them on Valentine’s Day. And make sure they know how much you care the other 364 days of the year.